Mainstream medicine, however, was a gruesome ordeal. Between bloodlettings, ignorance of germs and infection, the use of mercury pills and laxatives, mainstream medicine was one of the biggest obstacles to good health in existence during the early history of the United States. One of the most commonly prescribed medicines during this era was calomel – a type of mercury pill that stimulated the bowels. However, as the population moved into unsettled areas of the country, particularly in the South and West, a lack of access to physicians contributed to women once again playing a major role in providing health care. The Popular Health Movement (1830s–1850s) coincides with a resurgence of women as health practitioners. Gunn’s Domestic Medicine: Or Poor Man’s Friend, In The Hours Of Affliction, Pain And Sickness (1835) provided women with detailed instructions on delivering babies; performing vaccinations, abortions and minor surgeries; and recognizing and treating the symptoms of disease. Because male physicians almost unanimously opposed admitting women into the profession, during the 1830s women involved with healing were more likely to find allies among alternative medical practitioners. 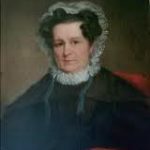 In 1831 Mary Neal married Hiram Gove, an unsuccessful businessman who expected both financial support and unquestioning obedience from his wife. She supported him and their surviving child by selling needlework until they moved to Lynn, Massachusetts, where she ran a girls’ school. Having suffered from chronic ill health since childhood and four miscarriages as a young woman, Mary began secretly reading medical books. Her proximity to Boston offered more opportunities to pursue her studies. From this time I was possessed with a passion for anatomical, physiological and pathological study…. When I retired to rest at night, I took my books with me; the last minute I could keep awake was devoted to study, and the first light that was sufficient was improved in learning the mysteries of our wonderful mechanism. My intense desire to learn seemed to make everyone willing to help me who had knowledge to impart. Kindness from the medical profession, and the manifestation of a helpful disposition towards my undertakings, were every where the rule…. Mary began to lecture to all-female audiences on anatomy, physiology and hygiene, her candor often provoking both admiration and scandal. Determined to relieve women of what she saw as the unnecessary physical and mental suffering caused by their lack of access to information about health, she recommended that women exercise daily, breathe fresh air, shower with cold water, avoid the fashionable tight-laced corsets of the day, and abstain from coffee and meat. In 1837, I commenced lecturing in my school on anatomy and physiology. I had before this given one or two lectures before a Female Lyceum, formed by my pupils and some of their friends. At first I gave these health lectures, as they were termed, to the young ladies of my school, and their particular friends whom they were allowed to invite, once in two weeks; subsequently, once a week. In the autumn of 1838, I was invited by a society of ladies in Boston to give a course of lectures before them on anatomy and physiology. I gave this course of lectures to a large class of ladies, and repeated it afterward to a much larger number. I lectured pretty constantly for several years after this beginning in Boston. I lectured in Massachusetts, Maine, New Hampshire, Rhode Island, New York, New Jersey, Pennsylvania, Maryland…. During the time that I studied alone, my enthusiasm never for one moment failed. Day and night, in sickness and in health, the unquenchable desire for knowledge and use burned with undiminished flame… though all the time I had to labor for bread – first with my needle, and later with a school. In 1841, taking her young daughter with her, Mary left her husband and returned to her parents’ home; Gove eventually agreed to a divorce. 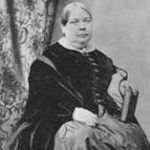 Having been emotionally and sexually abused for ten years by Hiram Gove, Mary made it her life’s work to inform women about their bodies and their opportunities. She founded a water cure clinic in New York City and began publishing fiction as well as health-related literature. It was not only my own case and the cases of premature death in my family that made me take an absorbing interest in the question of health. Half the children born around me died in infancy. Almost every year epidemic diseases, such as measles, scarlatina and cholera infantum, carried off great numbers. Adults died of typhus or consumption. The graveyards were full of the graves of women who died between the ages of twenty-five and forty…. I wished to know the causes of this misery, disease and death, and determined to gain instruction. A physician who attended me gave me the use of his fairly furnished medical library; the editor of a literary journal, for which I wrote tales and poems, procured me a copy of Copeland’s Medical Dictionary. An earnest and pretty thorough study of physiology and the practice of medicine, with the results of that practice all around me, early satisfied me that ignorance of the laws of health went hand in hand with a false and mischievous system of drugging, bleeding, blistering and life. In my studies at this period, so far from meeting with opposition from the medical profession, I received from its distinguished professors every possible assistance. While engaged in the work of education, I was shocked and grieved to see lovely children weakened, and their health of mind and body destroyed, and even idiocy and insanity produced, by habits formed in ignorance, and the result, in many cases, of hereditary tendencies. I was surrounded with sin, and the consequences of sin. Wrong being and wrong doing were everywhere; but it seemed to me that the disposition to do right was not so much wanting as the knowledge of right. I became as anxious to teach others as I had been to learn the way of moral physical salvation. I began, therefore, to teach those whom I was educating the elements of physiology and the laws of health. Mary became interested in the alternative medical treatment known as the water cure, which emphasized natural remedies and preventative practices over surgical treatments and drugs. She believed in the power of physicians as teachers who can give women the knowledge they lack in order to improve both their own health and that of their children. She became a national figure and a leader in both the health reform and water cure movements. 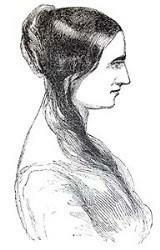 Her book Lectures to Ladies on Anatomy and Physiology was published in Boston in 1842. In 1844, she began writing for the Democratic Review; she wrote the “Medical Elective Papers” in the American Review, and was a contributor to Godey’s Lady’s Book magazine. In 1848 Mary married Thomas Low Nichols, a writer with an interest in health reform and progressive views of women’s rights. Together they opened water cure facilities and founded the nation’s first hydropathic medical school – the American Hydropathic Institute – in New York City in 1851. They were tireless advocates of hydrotherapy as an alternative to drug-based medical treatments. The couple’s water cure establishments, lectures and voluminous publications anticipated later movements in support of public health, women’s health and particularly legal rights. They also promoted the expansion of women’s professional roles, training many as hydropathic practitioners at a time when women were denied admission to regular medical colleges. Considered too radical even by their fellow reformers, Mary and Thomas Low Nichols are virtually unknown today, perhaps because their advocacy of free love alienated them from other reformers. They were also outspoken supporters of dress reform and marriage law reform, which they considered even more important than women’s suffrage. 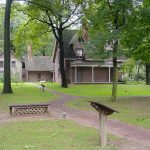 In 1856 Mary and Thomas Nichols leased a three-story building in Yellow Springs, Ohio – previously known as the Glen Forest Water Cure Institution – where they planned to open “a School of Health; a School of Progress; A School of Life” they called Memnonia. Their reputations as social reformers and advocates of free love preceded them, however. Horace Mann, president of Antioch College, which had opened in 1853, and other Yellow Springs residents did not want Memnonia in their community. With the new college already beset with crippling financial difficulties, the last thing Mann needed was a free love colony in his neighborhood. As the moral guardian of Antioch, Mann saw it as his responsibility to drive the Nichols and their followers from Yellow Springs before they adversely influenced his students. He convened a public meeting at the Methodist Church for the purpose of denouncing the Nichols and appointing a committee to prevent their taking control of the Water Cure building. The Nichols fought back, attacking Mann from the pages of their Nichols’ Monthly, warning “if any sick fail of cure for want of our treatment, it is Horace Mann who has hindered them. If any die who might have come to us and lived, he is their murderer.” In July 1856, local sentiment subsided enough that Memnonia finally opened for business. Nichols basked in his victory over Horace Mann, boldly predicting that as a school Memnonia would soon outshine Antioch. The institute never attracted more than 20 followers, however. Many others frequently in residence were actually water cure patients Dr. Nichols treated on the side to defray Memnonia’s cost. The rigorous lifestyle the Nichols demanded probably kept membership low. The Nichols’ changing spiritual beliefs gradually led them and their few remaining students to convert to Roman Catholicism. Memnonia disbanded in early 1857, and Thomas and Mary left Yellow Springs that March. They emigrated to England to demonstrate their opposition to the Civil War. Mary Gove Nichols died in London in 1884.